If you are in a bind and have run out of gas please do not hesitate to call. 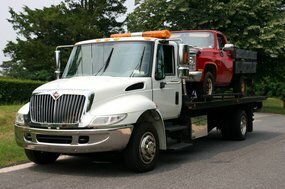 Macon towing company provides fuel delivery anywhere in the greater Macon area. Our technicians we’ll make their way to you as quickly as possible for gas delivery. Just tell us where you are and what kind of fuel you need and you know we are on the way. We will stay with you to ensure we see you back on the road again and can diagnose any other problems your vehicle may have. Count on us for a lift if you need.